Objective: The sub hepatic drain is often placed after laparoscopic cholecystectomy is considered to affect post operative infection, pain and sub hepatic collections. The objective of this study was to compare the degree of postoperative pain in patients with routine drainage with those without it after elective, uncomplicated laparoscopic cholecystectomy. 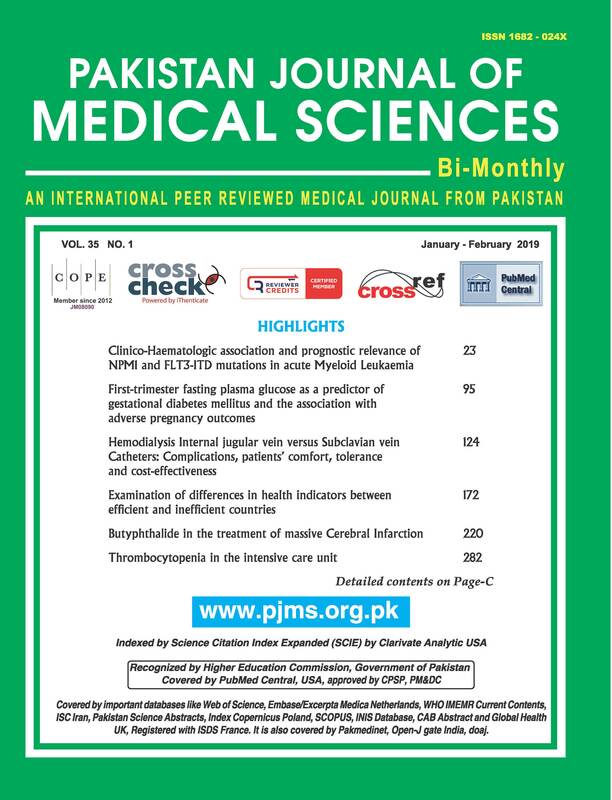 Methods: This randomized control trial (RCT) was done over six months from 9th June 2015 to 8th December 2015 at Military Hospital Rawalpindi. Sample calculated with WHO calculator and consecutive non probability random sampling used to divide 170 patients undergoing laparoscopic cholecystectomy in two groups. One group had routine sub hepatic drain and other didn’t. Degree of postoperative pain was assessed according to VISUAL ANALOGUE SCALE by duty doctor at 24 hours. Data was collected and analyzed applying chi square test and p value was <0.05 considered statistically significant. Results: Our results demonstrated that intensity of post operative pain in routine drainage group is higher as compared to non drainage group after elective, uncomplicated laparoscopic cholecystectomy. Conclusion: Routine placement of sub hepatic drain in elective uncomplicated laparoscopic cholecystectomy should be avoided to reduce post-operative pain. Nadeem F, Khan MR, Naz FU. Comparison of mean pain scores for the patients with sub hepatic drainage to those without it after elective uncomplicated laparoscopic cholecystectomy. Pak J Med Sci. 2019;35(1):226-229.